On September 21, NEF recognized International Peace Day as we celebrated the upcoming launch of Olive Oil Without Borders III. Now in its third three-year phase, NEF’s USAID-funded Olive Oil Without Borders (OOWB) project received sign off to launch OOWB III this fall. OOWB is continuing to build relationships of trust, mutual understanding, and collaboration between Israelis and Palestinians through economic cooperation. Why the olive sector? 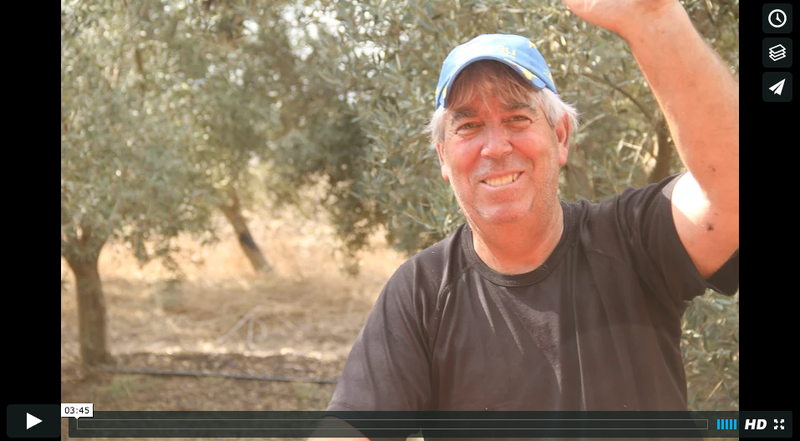 Olive farming is a cornerstone of the local rural economy in the West Bank and Israel where more than 100,000 families depend on the olive oil industry. The land belonging to farmers extends back generations upon generations and therefore has meaning beyond economic value. In a region where conflict and borders tend to shape every day life, NEF’s OOWB program aims to bring the mutual love that Palestinian and Israeli farmers have for their land to the forefront in order to foster shared economic opportunities. These efforts have resulted in increased production and revenue in the region’s olive sector and a more positive perception of “the other side” reported by those who have participated. Phase III of OOWB will focus on 37 communities in Israel, the West Bank, and now will also extend to Jordan in areas where the NEF team has well-established relationships. NEF will work directly with at least 1,000 olive producers, mill operators, and olive oil distributors in these areas, and with the Olive Oil Councils, business, and policy leaders to promote cross-border shared solutions to trade and export organic and premium olive oil in the West Bank, Israel, and Jordan. To read more about NEF’s cross-border work, click here.